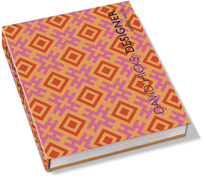 The late designer David Hicks (1929-98) was credited as revolutionising the floors of the world with his geometric carpets. 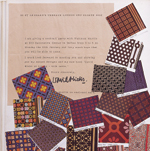 From the decoration of his own house in London in 1956, in violent clashing colours that effectively ended the drab post-war English look, he set the pace for interior design in Europe and in the USA, where he worked extensively throughout the 60s and 70s. The book illustrates a design oeuvre ranging from apartments for Helena Rubinstein, the Niarchos children and the Prince of Wales, through yachts and private jets, to the surprisingly glamourous offices of British Steel in New York.